We give great thanks for Sr Catherine Naomi’s strong spirit of courtesy, humour, gentleness and direct interest in others that has been an inspiration. There is a clear recent memory amongst us of the last time that Sister was wheeled into Chapel for the Eucharist. She sang quietly to herself throughout and then greeted Sisters with pleasure before she left. 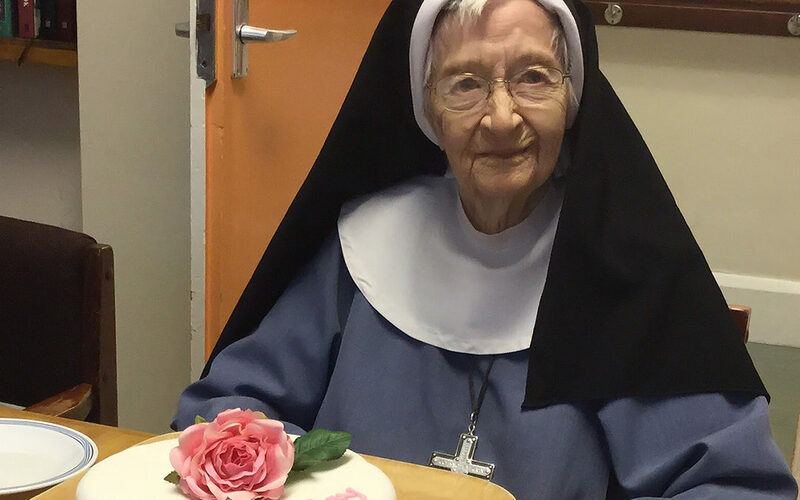 Photo above: Sr Catherine Naomi at her 100th birthday party.